WEB OF EVIL - After one and a half years after first visiting the Gallery of Evil, I was struck by an idea, inspired by a recent horror movie on NTN (Neopian Television Network). That idea was: (drum roll please) none other than to interview the Spider Grundo himself. Anyhow, after some serious cash was transferred from a certain Neopian's bank account to another, I managed to find out the location of the guild. Surprisingly enough, it was located right here, in my home city of Neopia Central. The next day, I set off to find the guild with Bluefire104 (my Scorchio) and quickly located it, after falling through several trap doors, walking through three concealed doors and climbing through the window of a disused warehouse. Sure enough, inside the warehouse, scrawled on a wooden wall in huge letters, were the words, WEB CLAW GUILD. My Neopet and I were quickly surrounded by several robed Neopets, all armed with, not surprisingly, Web Claws. After being blindfolded and frog marched a short distance, I was released, and forced to kneel on the dusty wooden floor at the feet of an even more heavily robed figure. The figure threw back his hood, revealing the heavily painted face of a �.gasp�.. green Kacheek. In a grave tone, he ordered "What are you doing in the Domain of the Web Claw Guild?" Though at first surprised that such a rough voice could be coming from a Kacheek, I quickly replied "I would like to request an audience with the Spider Grundo". The Kacheek threw back his head and laughed. The laughter resonated through the room, and needless to say, I felt very uncomfortable. The Kacheek clicked his fingers, and one of the smaller robed figures scurried forward. After a short whispered conversation, the smaller figure used his Web Claw to shoot out a thin, concentrated stream of green goo, which he used to scale the wall and climb into a small, wooden hatch on the ceiling. I was quite surprised at this, since I am an owner of a Web Claw myself, and know Web Claws are usually built to shoot wide webs, and the web fluid is usually an off-white colour. After a short while, the same robed form descended from the hatch, and used yet another stream of green goo to abseil down the wall. The robed figure then proceeded to whisper a few words into the Kacheek's ear. In a much more sombre voice, but in still the same gravely tones, the Kacheek solemnly declared that I would have to be executed, as my Scorchio and I posed a threat to the existence of the guild. 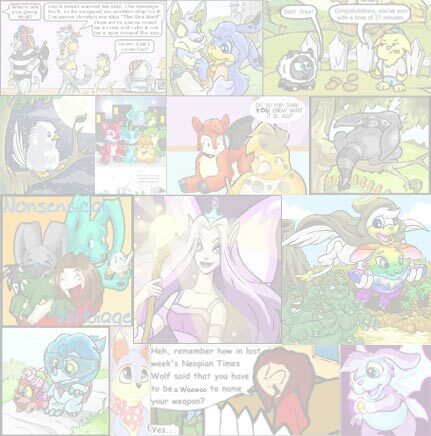 Obviously, I was not too happy with the news, but since my Neopet and I were outnumbered approximately fifty to one, there wasn't much chance of us fighting our way out. Not to mention the only door and the window by which I had entered were heavily guarded by yet more robed figures. I was only left with one option. As we shot through the hatch, I disembarked, and seeing a few spare planks nearby, placed them over the burnt hole where the hatch once was. I had already started placing over the planks discarded bricks, when I received a tap on the shoulder from my Scorchio. As I turned, I saw almost the entire wall opposite was covered in webs, and in the middle was none other than the Spider Grundo himself. I calmly kept my composure (actually, I started going into shock, and almost went into cardiac arrest) and asked the Spider Grundo for an interview (in reality, it was more of a stuttered yelp). Bluefire104, reliable as ever, resumed placing the rest of the bricks on top of the planks, in spite of constant yelling and banging from the robed Neopets below. Bluescorchio104: Hey, Mister Spider Grundo, nice to meet you. Spider Grundo: Who are you? You are not of the Web Claw Guild. I demand you explain yourself. Bluescorchio104: I'm Bluescorchio104, a normal citizen of Neopia. Spider Grundo: Is that so? Well, why have you come here? Bluescorchio104: To find out more about you. Spider Grundo: How flattering. What is it you want to know? Bluescorchio104: Well, first of all, who the heck are those weirdos down there? Spider Grundo: Them? They are my followers, my worshippers. In short, the Web Claw Guild. Bluescorchio104: Really? Another thing; how did you get to be the way you are? Spider Grundo: Dr Sloth's experiments. Even I don't know exactly how I came to be this way. Bluescorchio104: Were the Web Claws your followers wielding normal? Because I've never seen any Web Claws like them. Spider Grundo: Ah, yes. The Web Claw is my personal invention. The Brain Tree stole a copy when the Web Claw was in the early development stages. The ruffian then proceeded to duplicate the Web Claw and distribute the copies! The Web Claws you saw; those are the latest versions. I call them Neutro-Web Claws. Not only do Neutro-Web Claws have further range, they are capable of different modes, which enables them to shoot in blobs, webs, even multipurpose thin streams used for climbing and reeling things in. The web mixture is different from the original as well. The new mixture, though different in colour from my own web, is a laboratory produced is almost a perfect duplicate of my own natural web mix. Bluescorchio104: Wow. You must be pretty smart to invent all that. Spider Grundo: I am. When Dr. Sloth experimented upon me, he also quadrupled my IQ. Keep in at the time of the experiment that I was already quite brilliant, to say the least. Bluescorchio104: Oh, and why did you make the web mixture that sickly green colour? It kinda looks like snot. Spider Grundo: It is snot. Well, almost. The web mixture is actually mucus based. Specifically, it's based on a mucus sample from Meuka the mucus Meerca himself. Luckily, the web mixture still retains some of the mucus's qualities. This means the mucus can reproduce itself once depleted, meaning the web mixture never runs out. Bluescorchio104: Interesting. Well, do you have any long-term aspirations? Spider Grundo: To efficiently become the unrivalled supreme controller of power in Neopia. Bluescorchio104: That means to take over Neopia, right? Spider Grundo: Well, yes, in an ignoramus's terms. Bluescorchio104: Why am I not surprised? Spider Grundo: Well, what do you expect? Why should one of my intellect and calibre be forced to adhere to the rules of a lower society? Bluescorchio104: Just because you're smarter doesn't necessarily mean you're better than everyone else. Spider Grundo: Yes it does. Spider Grundo: (In a sulky tone) I refuse to accept that juvenile allegation. Bluescorchio104: Whatever. How exactly do you expect to take over Neopia? Spider Grundo: You must be of a lower intellect than I thought. Once I obtain enough Neopets to join the Web Claw Guild, they shall march upon Neopia under my command! Bluescorchio104: One more question. Are the face paints really necessary? I mean, it's a fashion disaster, just look at the colour clash! Not to mention it's a total stereotype of a crazed mob or bloodthirsty tribe. 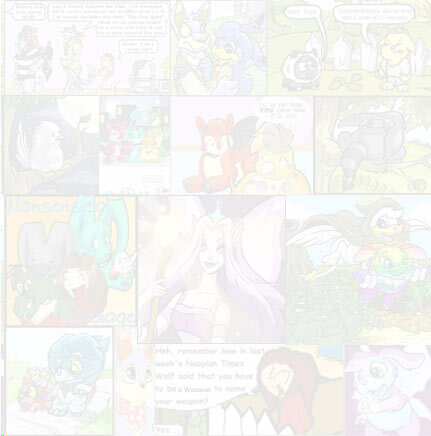 At this point, the bricks fell through the planks covering the hole, and hordes of robed Neopets started swarming in. I ran over to Bluefire104, and jumped on his back for the second time that day. Thankfully, this time he didn't collapse, and shortly after burning a hole in the ceiling, soared up and away. Of course, we remembered to throw a few last fireballs at the wooden warehouse, which quickly turned into a raging inferno (it also started a few forest fires in the nearby woods, but don't tell anyone that). I still have a feeling that we won't be seeing the last of the Spider Grundo just yet.